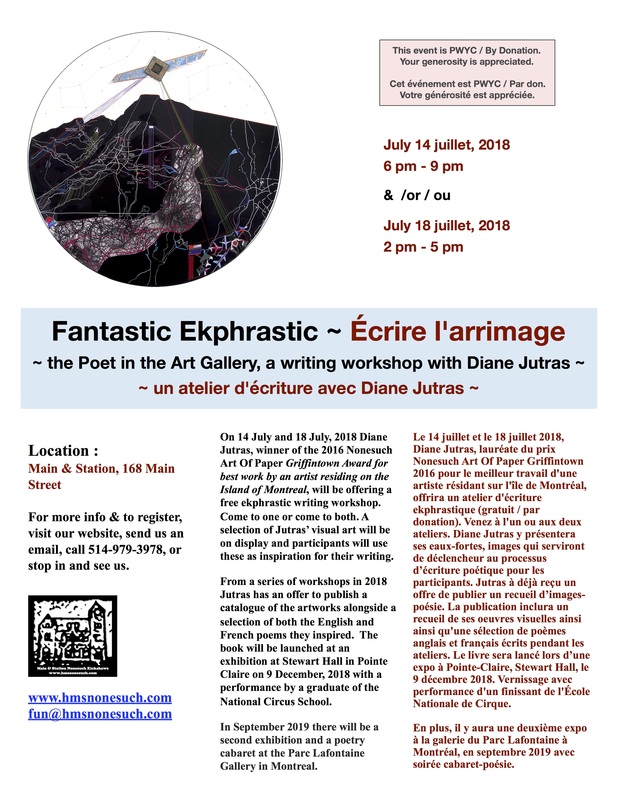 For more information, see here http://hmsnonesuch.com/fantastic-ekphrastic-ecrire-larrimage/ send us an email fun@hmsnonesuch.com, call 514-979-3978, or stop in and see us. Pour plus d’informations: http://hmsnonesuch.com/fantastic-ekphrastic-ecrire-larrimage/ ou envoyez-nous un courriel à fun@hmsnonesuch.com, appelez 514-979-3978, ou venez nous voir. This entry was posted in Art, Books, Events, Poetry, Workshops Seminars & Conferences and tagged Diane Jutras by Admin. Bookmark the permalink.